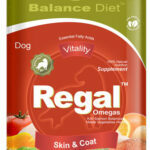 Regale™ Skin & Coat- EFA’s/Omega’s, pharmaceuticle grade concentrated fatty acids. 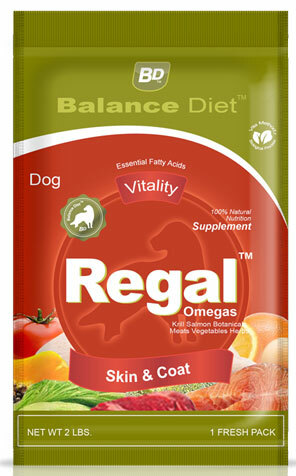 Regale contains high levels of the elusive Omega 3, in a convenient delivery medium. The nutrition in Regale™ is available in it’s natural state.very. 16 oz., 32 oz., 64 oz., 1 gal., 2 gal., 5 gal. 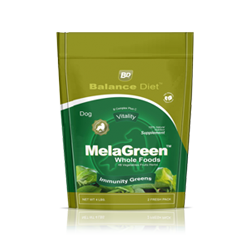 MelaGreen™ Is Green Food! For immune support containing antioxidants, B-complex vitamins, enzymes, phytonutrients, electrolytes and micro-nutrient plant sterols Delivers-Dynamic Health! 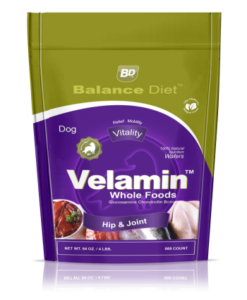 Velamin™ Hip & Joint, Designed and formulated for dogs. With glucosamine and MSM to support joint flexibility and hip health. Prevention, Maintenance, Recovery. 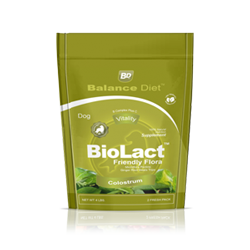 BioLact™ GI Tract Ecology for Newborns/Puppies BioLact™ is colostrum infused with antibodies and friendly probiotic bacteria/amino acid emulsion containing trillions of viable live cells which benefit newborns and puppies.te.very. 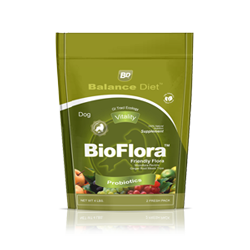 BioFlora™ GI Tract Ecology for dogs BioFlora™ is a friendly probiotic bacteria/amino acid emulsion containing trillions of viable live cells which benefit any dog. This formula of 7 enzymes contains more than 77 organic minerals and some selected macro minerals to act as co­factors to “trigger” the enzymes. This digestive enzyme is specifically designed to aid in the digestion of all foods including proteins, carbohydrates, starches, fats, fibers and all forms of sugars. 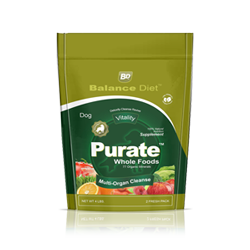 It also goes back and removes toxic materials that have collected in your dog’s gastrointestinal tract for years. It is unlocked and released for elimination. 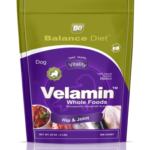 Every dog owner should try to get the loads their dog eats broken down into their smallest components for absorption of vitamins, minerals, and other nutrients. 4 of the enzymes specifically aid in the processing of sugars to maintain proper glucose and insulin levels. This enzyme formula is derived from organic aspergillus and is effective at all pH levels and body temperatures, unlike bromelain, papain, and pancreatic enzymes. 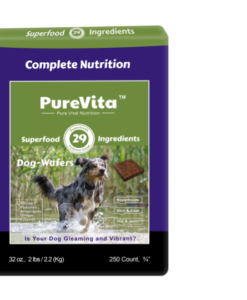 Any dogs with digestive problems, gas, bloatedness, acid indigestion, acid reflux, hiatus hernia, etc. should take advantage of the virtues of this enzyme formula. Protease-Breaks down proteins. Amylase-Breaks down starches, carbohydrates, and some sugars. 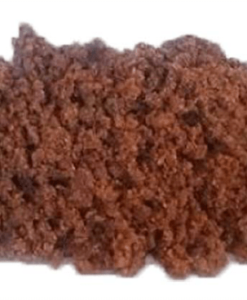 Cellulase-Breaks down soluble dietary fibers. Sucrase-Breaks down cane and beet sugar. Maltase-Breaks down malt or grain sugar. Lactase-Breaks down milk sugar.